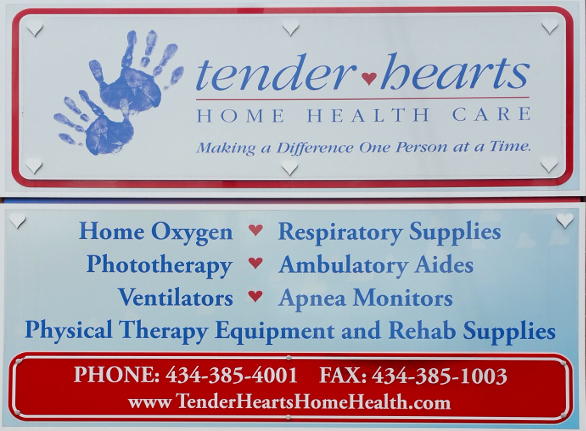 Tender Hearts was started in 2005 due to an increasing need for Pediatric Home Medical Equipment & Medical Supplies by the owner Kirk Petrie, RRT. Kirk is a NICU / PICU respiratory therapist whose many years working at the hospital in NICU and on the transport team has prepared him for this challenge. Too many children were going without quality home medical care. We specialize in neonatal and pediatric respiratory care. We provide the basics like nebulizers and oxygen to the most sophisticated ventilators and monitors. We gladly accept all forms of Medicaid and most private insurance, and as always, self pay is okay too. Kirk works along side his wife, Heather Petrie, who not only is the CFO with her degree in accounting, but also does all of our billing, in house, so you don't have to worry about filing any claims, she will do it all for you. Heather also has worked closely with the Rehab agencies in Lynchburg and Charlottesville to provide complex rehab to our patients. We look forward to helping you bring your little one home. Contact us anytime @ 434-385-4001.